Redempto “Dondon” Parafina is the Executive Director of the Affiliated Network for Social Accountability in East Asia and the Pacific (ANSA-EAP) Foundation, Inc. As an international development practitioner, he has recognized track record in civil society networking, capacity building and advancing innovations in citizen participation in governance. With over fourteen years of experience, he is consulted on the technical application of social accountability in various fields and sectors, such as education, health, public procurement, ICT, youth/children, among others. His work has spanned the Philippines and several East Asian countries. 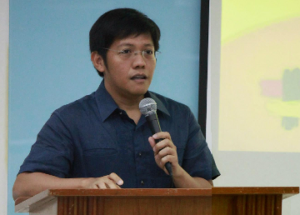 He is also a Senior Associate at the Ateneo de Manila University’s School of Government, where he has spearheaded various projects.